You have saved content from a previously started range build. Would you like to continue this build or start over? 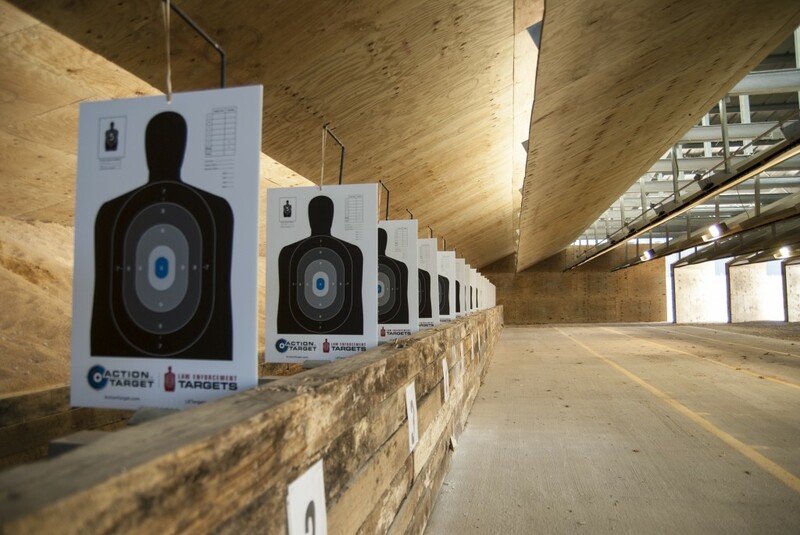 With over 25 years of experience, Action Target can help you build the right range for your unique needs. 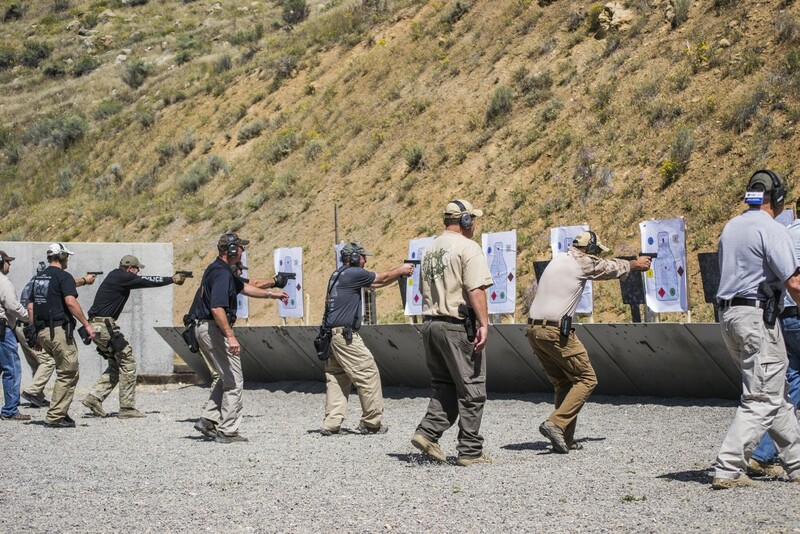 Whether you are building a commercial range that caters to casual or tactical training or a law enforcement range to better prepare your officers, we can help you meet the challenges of building a range. 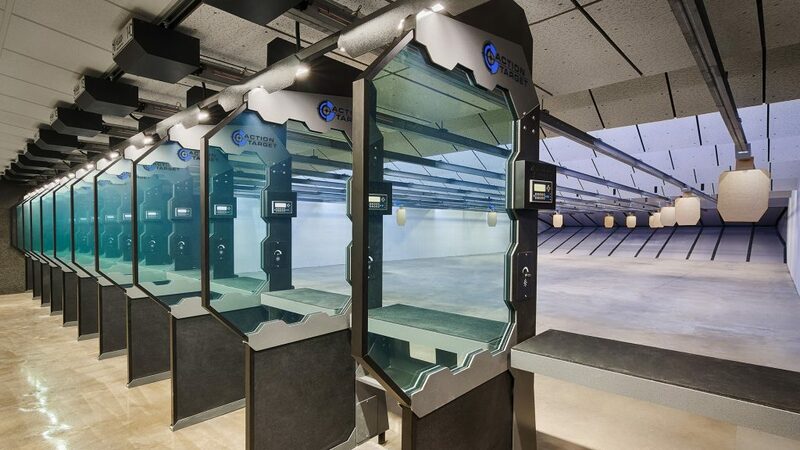 This tool will help you walk through the options of building a commercial or law enforcement range or connect you with a military specialist. You will be able to download this information and a quote request will go to your rep who will follow up with you. 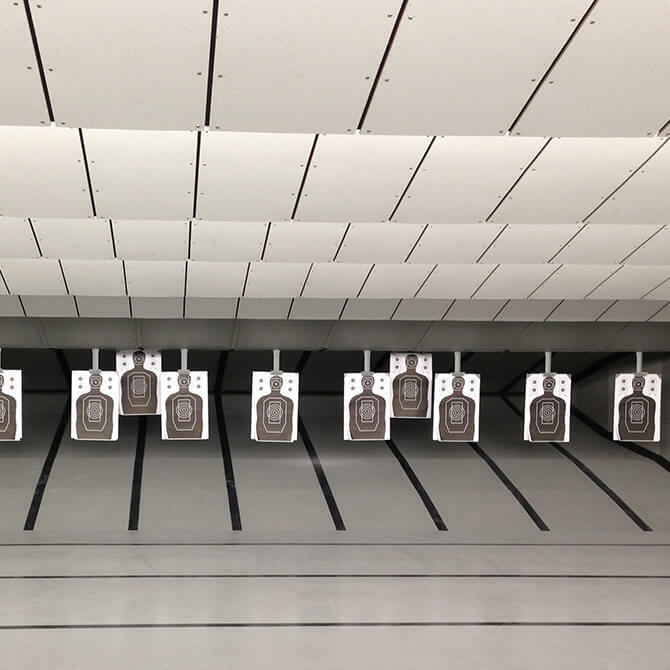 What type of range are you building? 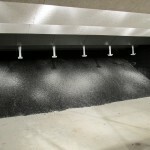 Action Target is a leader in providing superior range products that are customizable, safe, durable, and cost-effective. 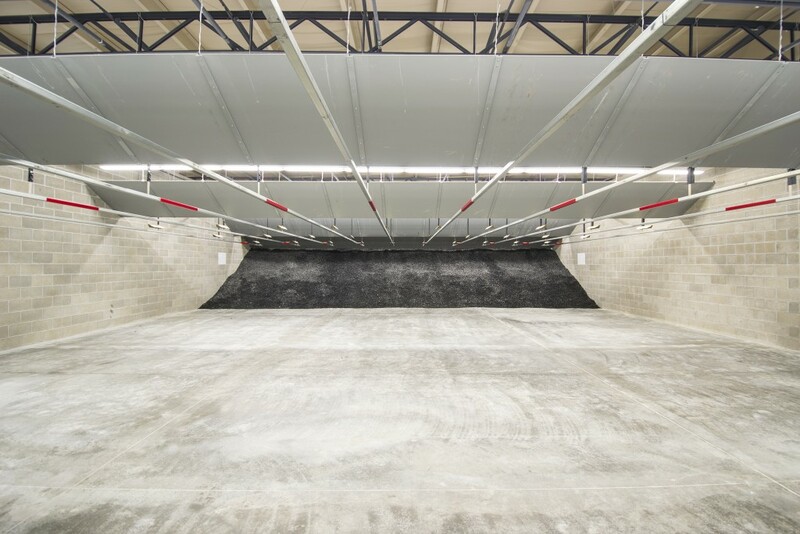 Whether you’re looking for a smaller range for individual customers to use or a more complex range for large groups to run training exercises together, we’re experienced in many build sizes. 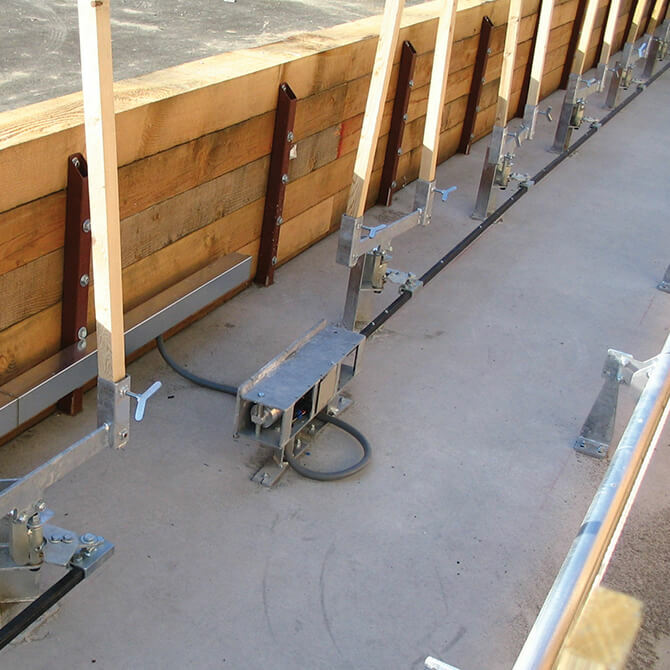 We will help you put together a range to meet your unique needs and specifications, so no range installation is too small or too big for us to handle. How big will your range be? 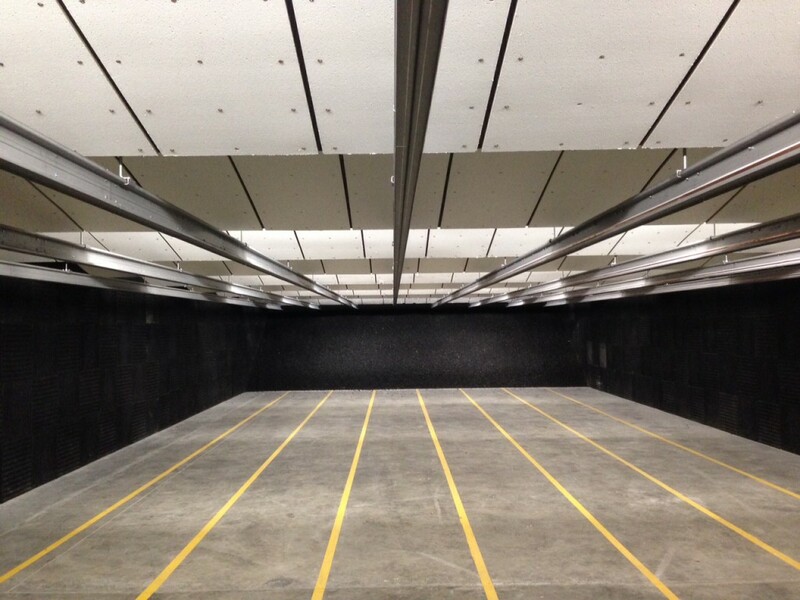 Will your range be indoor or outdoor? 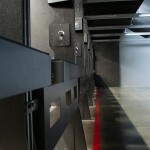 Shooting stalls provide protection for shooters as well as give your range its own custom look. 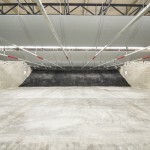 Shooting stalls are available on indoor ranges only. 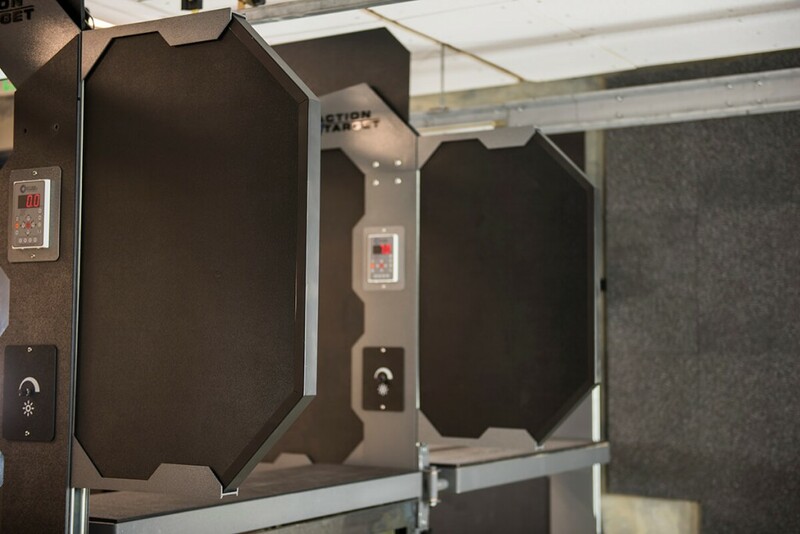 Independent ballistic testing and advanced modular designs ensure the shooter stays safe and comfortable in your range when you choose Action Target’s Defender™ Shooting Stall. 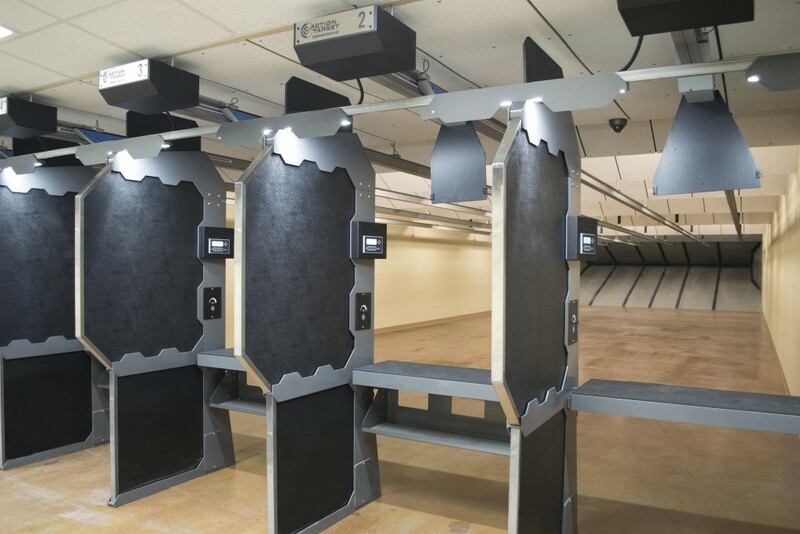 Customizable accessories, interchangeable ballistic panels, and multiple table configurations work together to create the ideal shooting experience for your customers. Have more questions? Need some more information? We will save your progress while you do a little exploring. 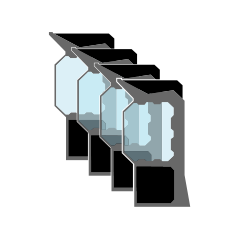 Choose full solid inserts for optimal privacy. 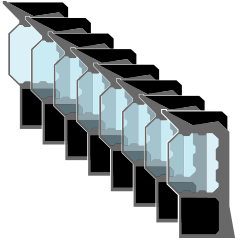 Choose split glass inserts for improved visibility. 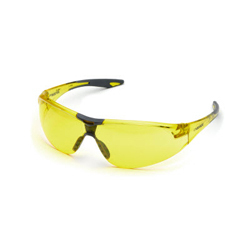 Choose full glass inserts for optimal visibility. 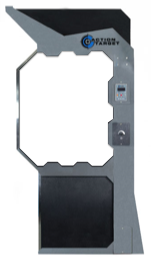 The Defender Shooting Stall can be customized to match your brand. 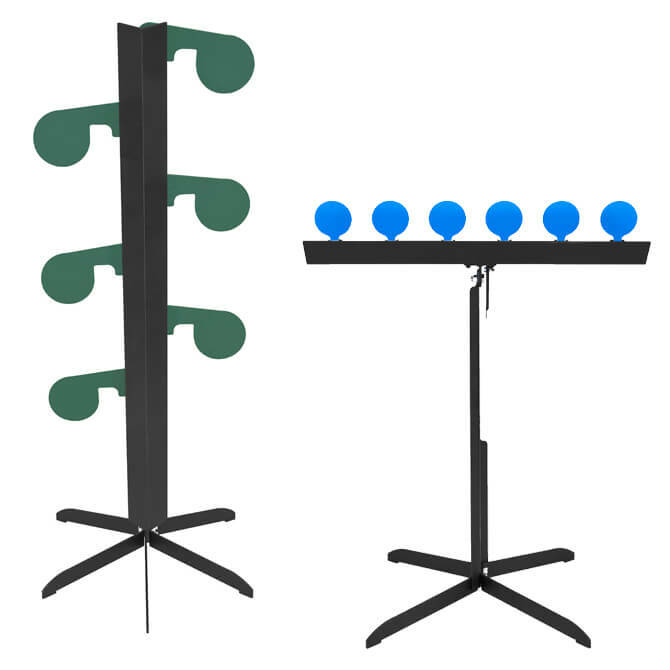 Customize your stall frame color with our five standard colors or create your own custom color. 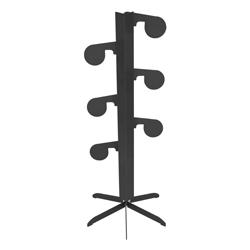 The Fixed Table has an optional lower shelf customers can use to store gear. 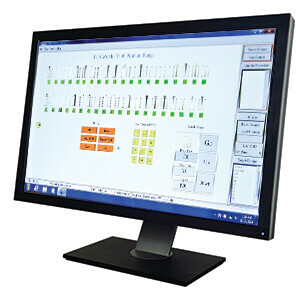 The Pivot Table rotates out of the way for easy range maintenance and tactical training. 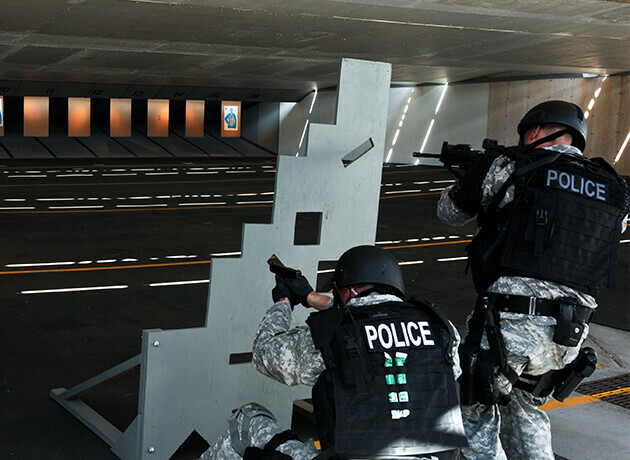 The Tactical Cart detaches from the stall and rolls down range for tactical training. A storage shelf is included. 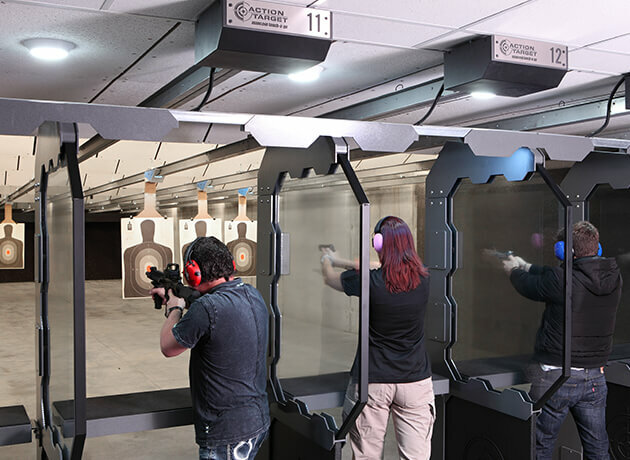 Adding a fully dimmable light allows users to customize their shooting experience. 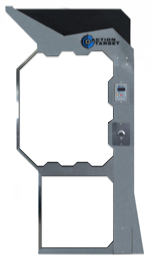 A textured layer of ABS plastic can be added for extended protection (shown on right). 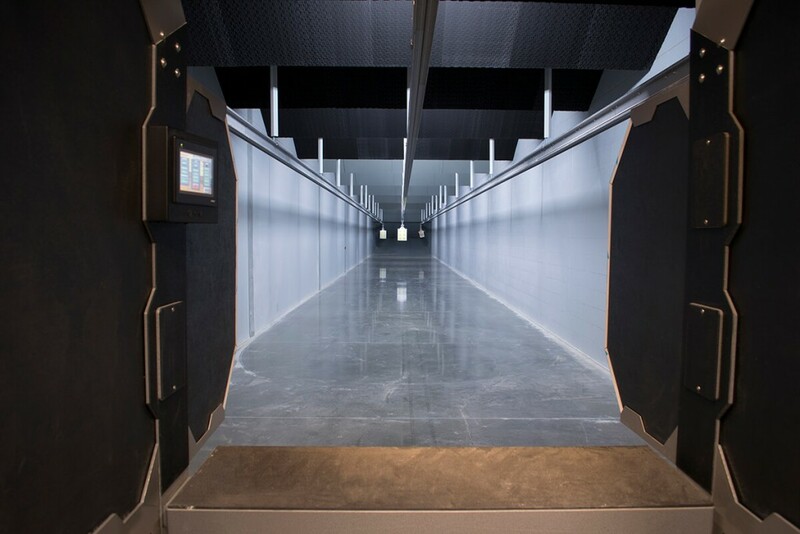 Adding a muzzle blast barrier to the front of the stall drastically improves the shooter’s comfort by blocking muzzle blasts from adjacent lanes. 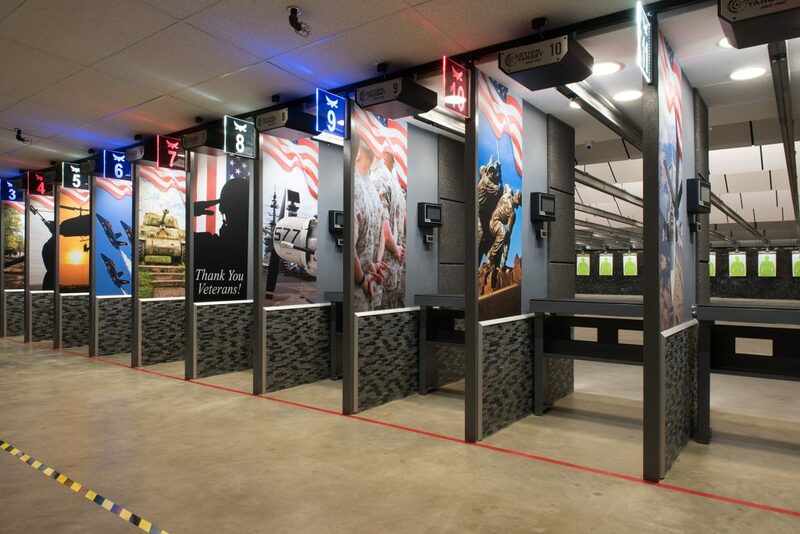 The American Series™ Stall provides the most private and customized shooting space available. 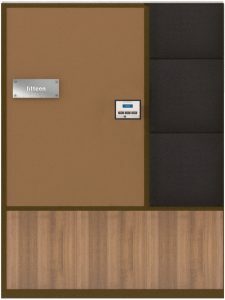 Every element of the stall can be adjusted to match the look and feel of your facility. 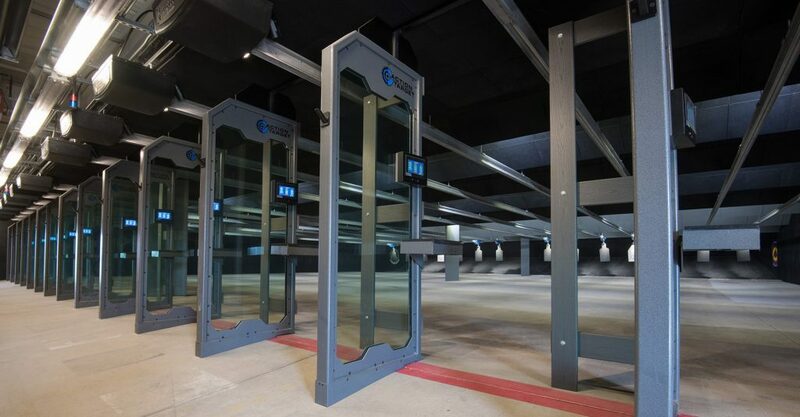 The Sentry Shooting Stall offers ranges an optional design option with quality ballistic protection and customizable options. 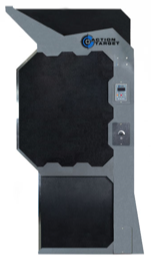 The color of solid ballistic panels can be customized with our standard seven colors or your own custom color. 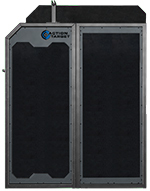 The Sentry Deluxe Shooting Stall offers a more private shooting experience with quality ballistic protection and customizable options. 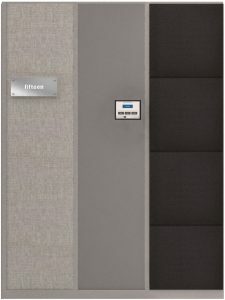 A self-closing gate may be added to the Sentry Deluxe Stall to improve the private atmosphere within the stall. 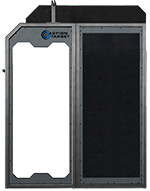 The Sentry Deluxe Shooting Stall can be customized to match your brand. 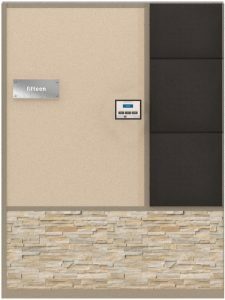 Customize the inside stall frame color with our five standard colors or create your own custom color. 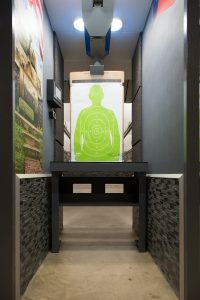 The Guardsman Shooting Stall features a rugged, yet simple design that retains the industry-leading ballistic standards to which Action Target proudly holds itself. 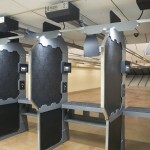 Action Target offers a wide variety of target systems for your new or existing range. 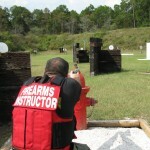 We can also combine different target options to provide variety and flexibility to your customers and training scenarios. 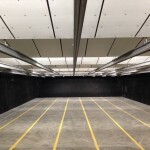 Fully customizable to your range installation, we’re happy to help you select the targets that will work best for your installation. 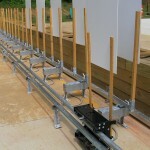 Target retriever systems move paper or cardboard targets away from the shooter and then back again within the lane. Action Target’s innovative track mounted designs have eliminated the sag and sway commonly seen with other target retrievers. Our smooth motion, armored trolleys have multiple control options for a superior range performance. Not sure which target retriever is right for your range? 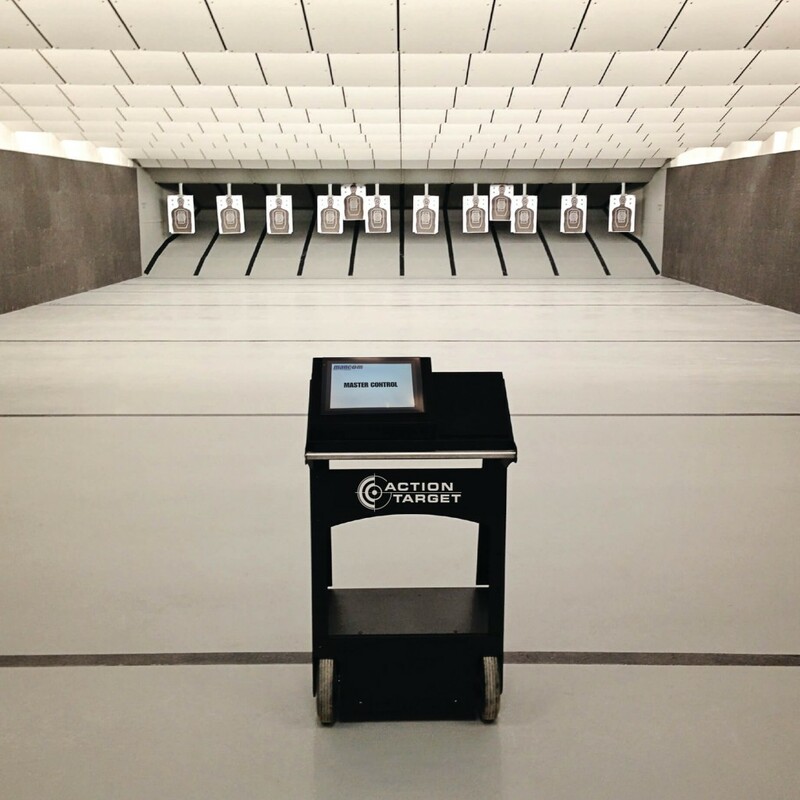 Target retrievers are an integral part of your range installation, but choices can sometimes be overwhelming. We’re happy to help you choose the best options for your particular needs and budget. 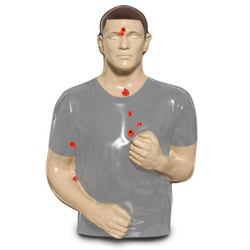 Simply mark this section as “not sure” and we’ll look at your range build and help you select a target system. 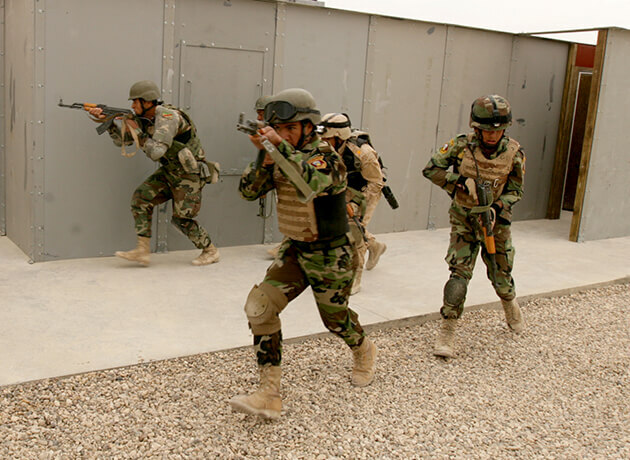 Moving targets create dynamic, realistic tactical scenarios. 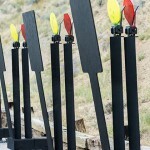 Action Target has led innovation in the Moving Target Systems category. 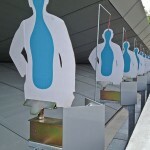 The targets can move to different locations, change speed and direction, and dart in and out of cover. 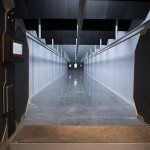 Select Moving Target Systems and a qualified rep will help you choose the exact moving targets to meet your needs. 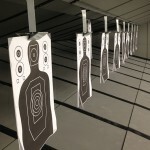 Turning targets offer various movements appropriate for firearms qualification, revolutionized by our air-powered, individually-controlled, systems. 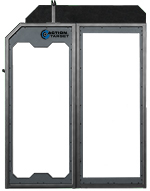 Action Target was the first to introduce individual, automated targets powered by compressed air instead of electric motors—this has since become the industry standard for all types of ranges. 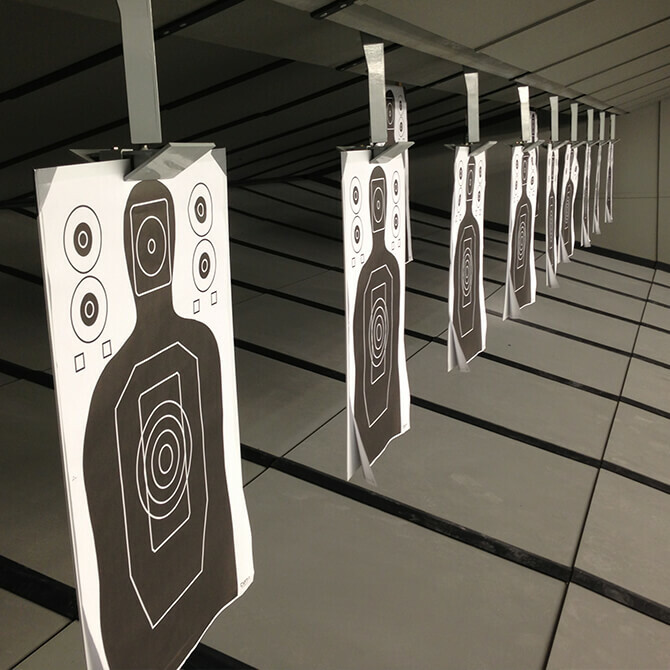 Select Turning Target Systems and a qualified rep will help you choose the exact turning targets to meet your needs. Reactive steel targets move when they are hit to reinforce confidence with accurate shots. 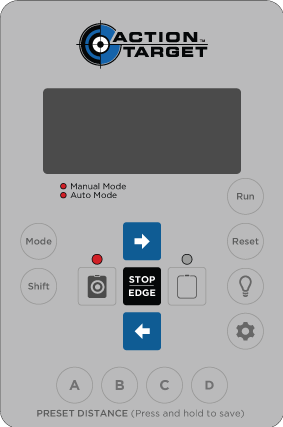 Action Target offers a wide array of these types of target to keep your training scenarios flexible and your customers’ experience fresh and exciting. 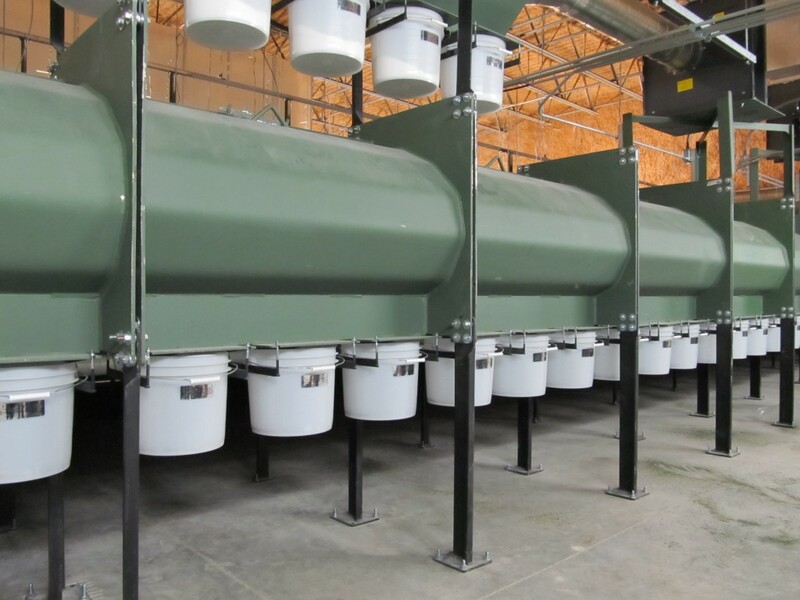 With Pneumatic models, different shapes, and many colors to choose from, the possibilities for your range installation are almost limitless. 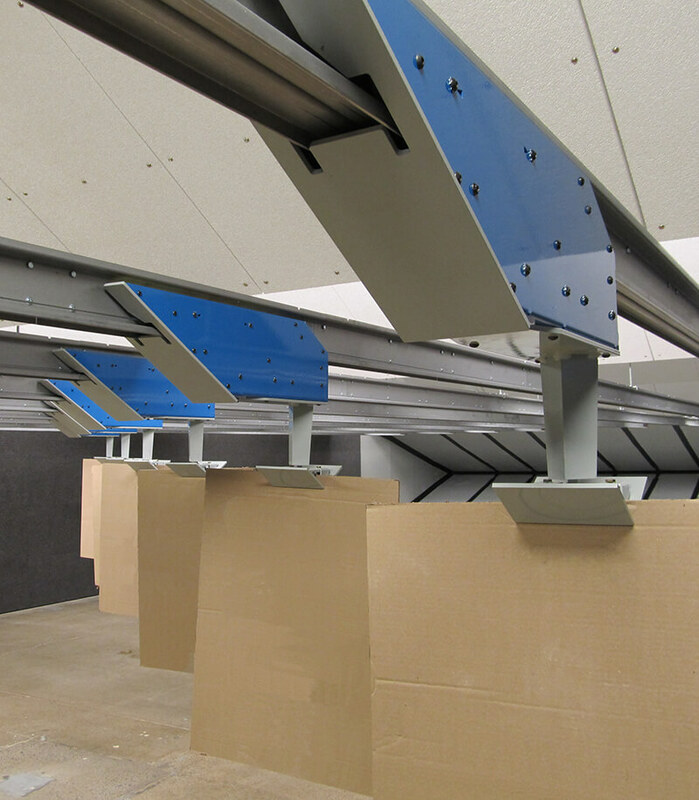 Select Reactive Steel and a qualified rep will help you choose the exact turning targets to meet your needs. 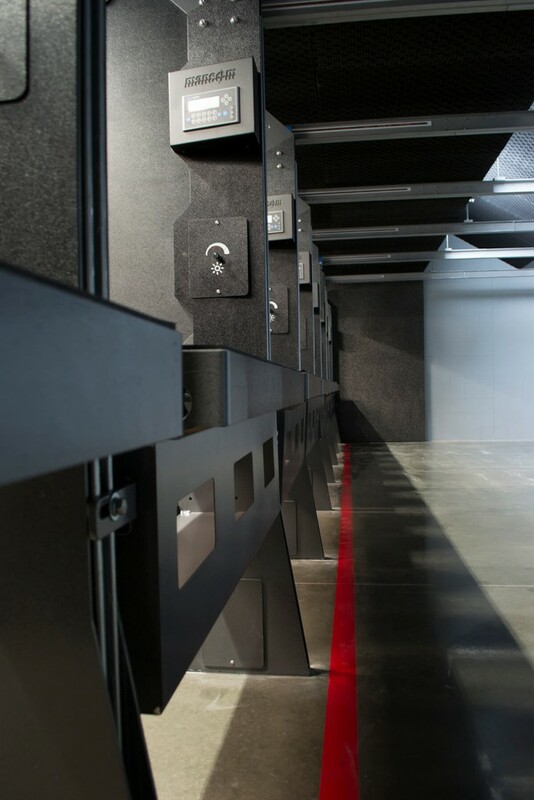 Choosing a bullet trap is one of the most important aspects of designing and building a shooting range. 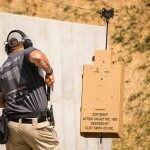 To truly understand how important a bullet trap is and how it will impact your range operations and budget, you should think of it as a large lead processor. 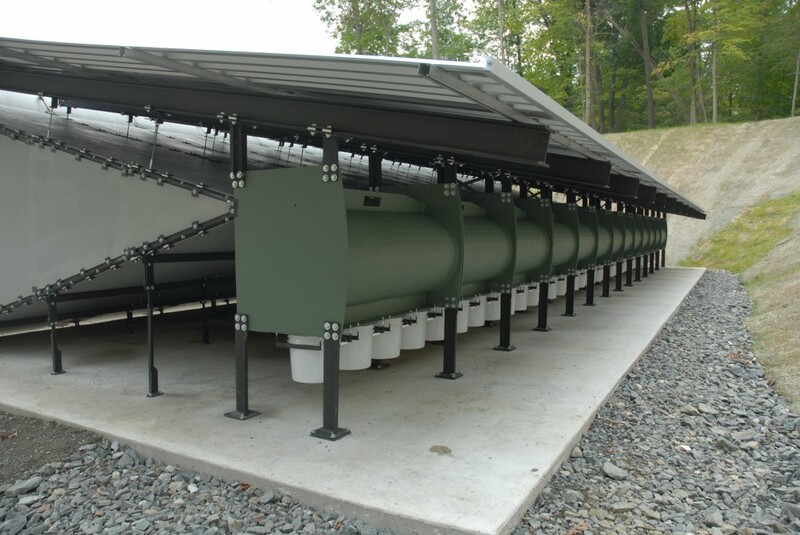 Critical to both the safety and health of the users of your range, as well as the environment, let us help you stay compliant with local laws while keeping your bottom line in mind. 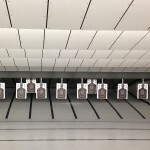 Safely, reliably, and consistently receive bullets under all conditions and in all calibers appropriate to your shooting and/or training needs. 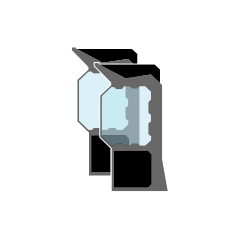 Safely collect and store all bullets fired into it without affecting ongoing shooting and without causing environmental damage. 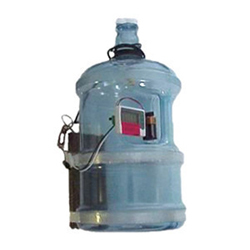 Safely and efficiently allow for the removal and disposal of collected lead and other debris without causing environmental damage and without violating city, county, state, or federal regulations. 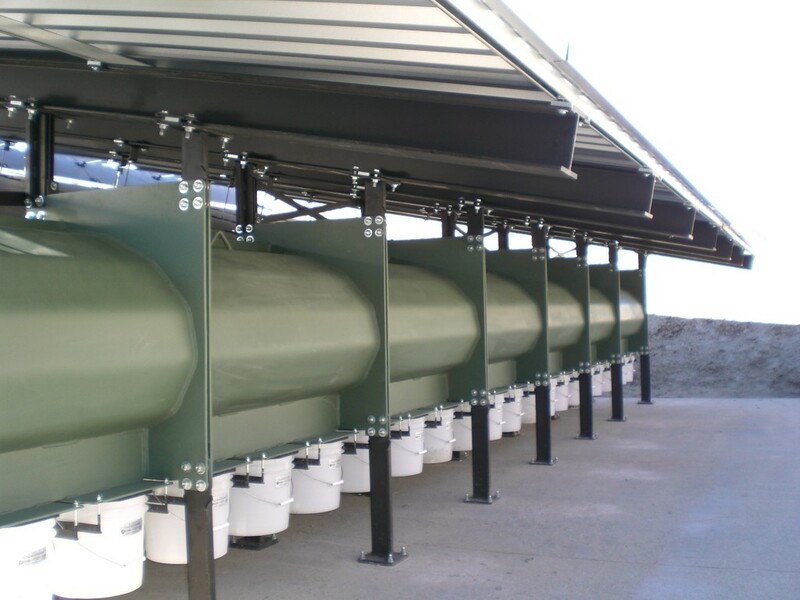 Action Target’s Total Containment Trap™ is the industry standard for modern, heavy-duty, steel trap applications where safety, reliability, simple maintenance, and ease of use are top priorities. 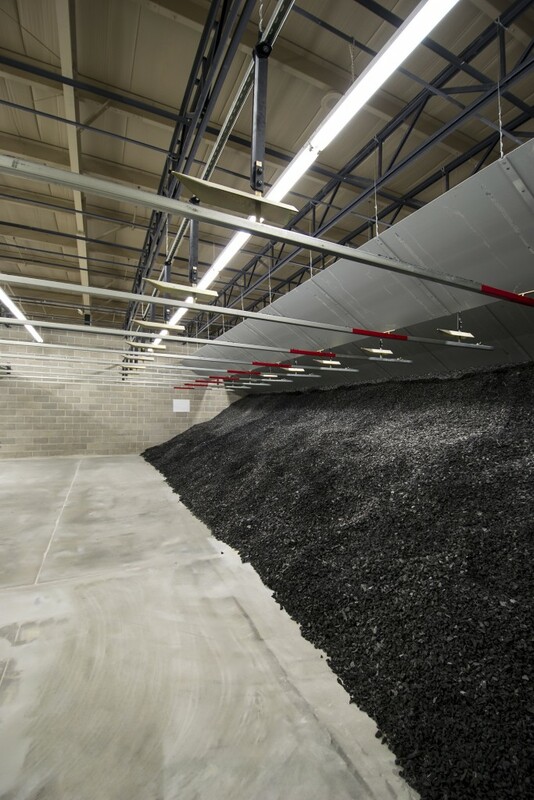 The TCT can be used in indoor or outdoor ranges and collects bullet fragments, jackets, wads, and other debris into convenient canisters mounted on the bottom of the trap or collected in a steel barrel through use of one of our conveyor systems. A rubber berm trap works by using the friction of passing through chopped rubber to stop the bullet. 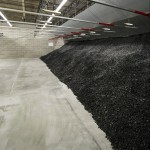 Ricochet and lead dust is also reduced with this soft material, making cross-range firing and extremely close distances safer. 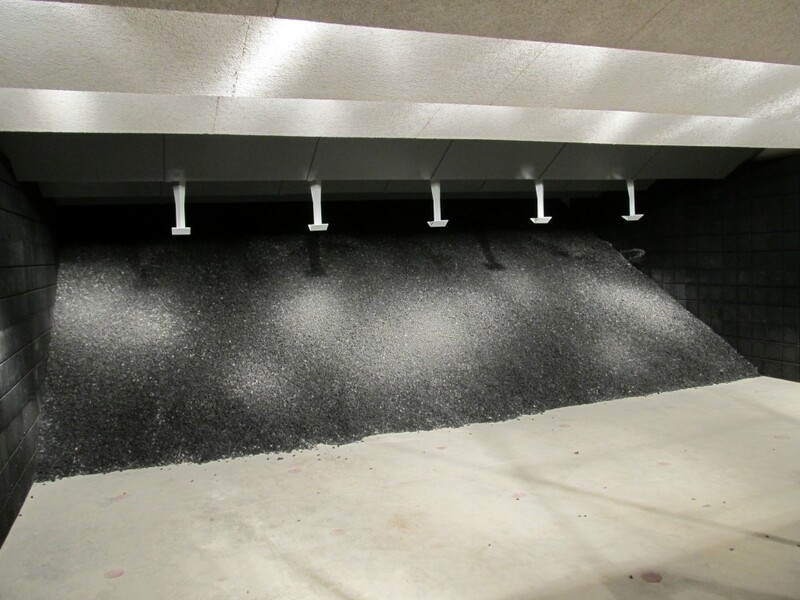 This trap is an excellent choice for certain indoor ranges and other low-volume ranges where lead dust is of paramount concern. 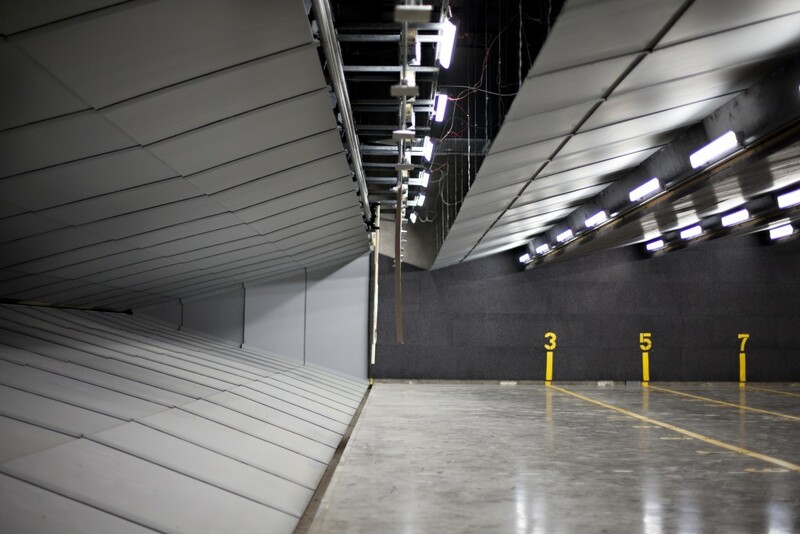 Indoor range design requires consideration of all safety aspects, including protection of those outside the range from errant rounds, those inside the range from hazardous byproducts, and those both inside and out from damaging or nuisance sounds. 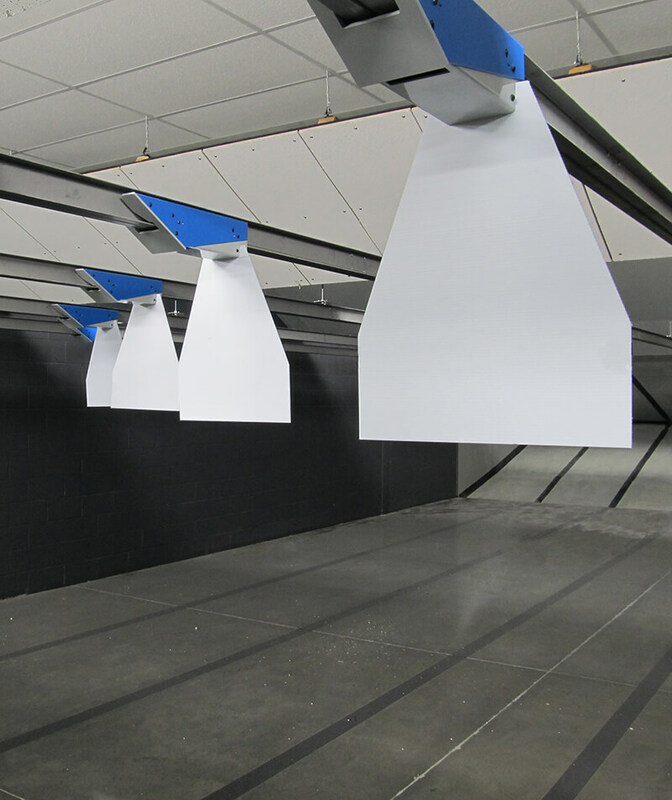 Safety baffles prevent errant rounds from exiting the range through ceilings and walls. 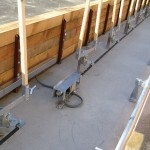 We offer four levels of protection to suit your specific needs. 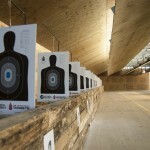 Is your range for pistol or rifle shooting? 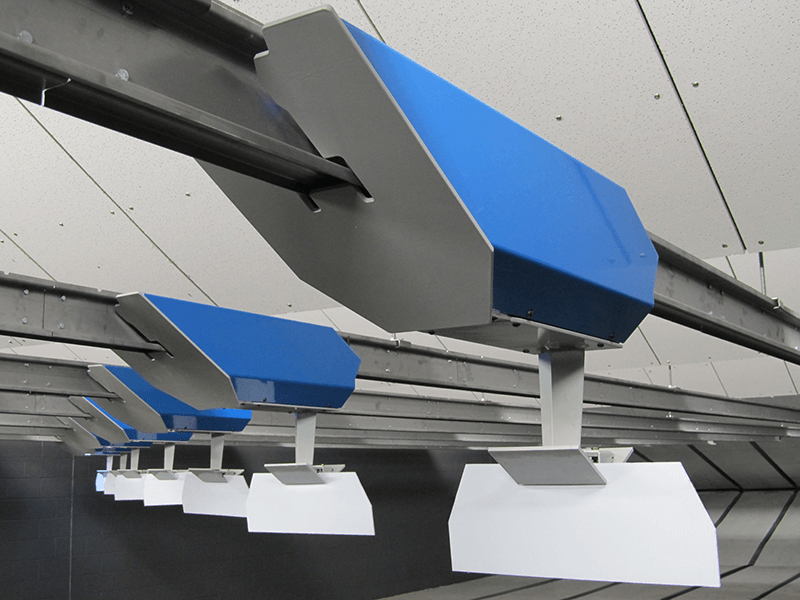 Proper ventilation is a vital component to overall range design, improving the user’s experience and providing a safe atmosphere for both employees and customers. 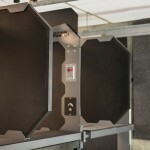 Sound abatement is essential for the hearing protection of your employees, your customers, and especially if your range is located in a populated or residential area. 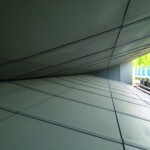 We are often able to integrate sound abatement into your safety baffles for a sleek, professional design. 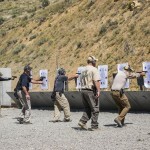 Action Target has built dozens of ranges throughout the United States and internationally. Let our experienced team of sales reps, range designers and engineers put their knowledge to work for you. 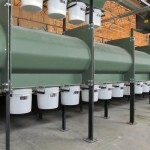 Our turnkey solutions—from range design to sales floor design—are unique to the industry. We are one of the only range manufacturers that is there every step of the way. Your range is unique, and we want to make sure you get the personal attention you need. 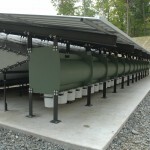 We will work with you to analyze exactly what your range needs are and establish a timeline for installation. 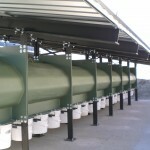 Action Target offers full range maintenance, cleaning, and service plans customizable to suit your needs and schedule. 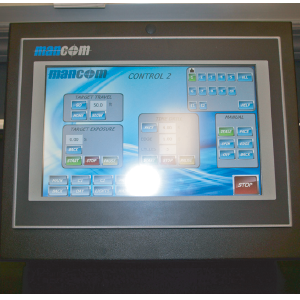 Save time, protect your investment, and experience ongoing training with our range technicians. After your range is built, Action Target is here to help. 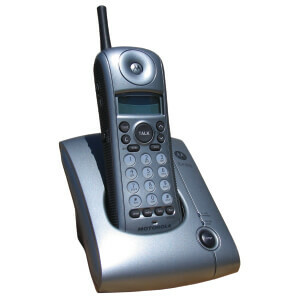 We stock a complete line of range supplies to suit your needs. 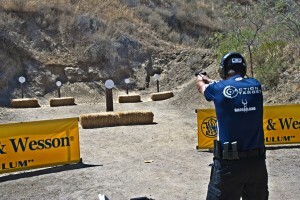 Offer Action Target / Law Enforcement Targets products in your retail location. 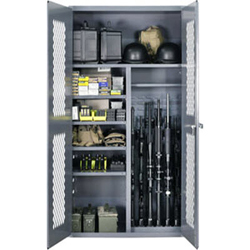 Our dealer program is a great way for you to get all of your range supplies and accessories from one source. 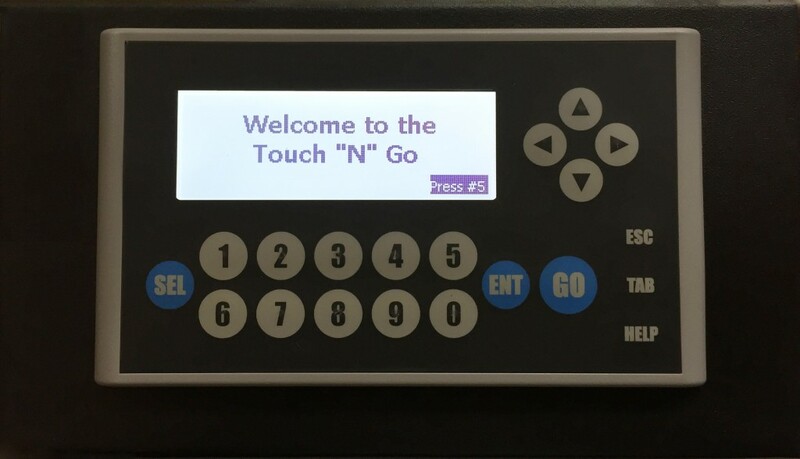 Just like your range is unique, so is your sales floor. No one knows your customers better than you, and we can help you design the right space to appeal to your customer’s needs and desires, while bringing your business to the next level. 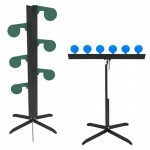 We know that your new range will need a professional trained staff. 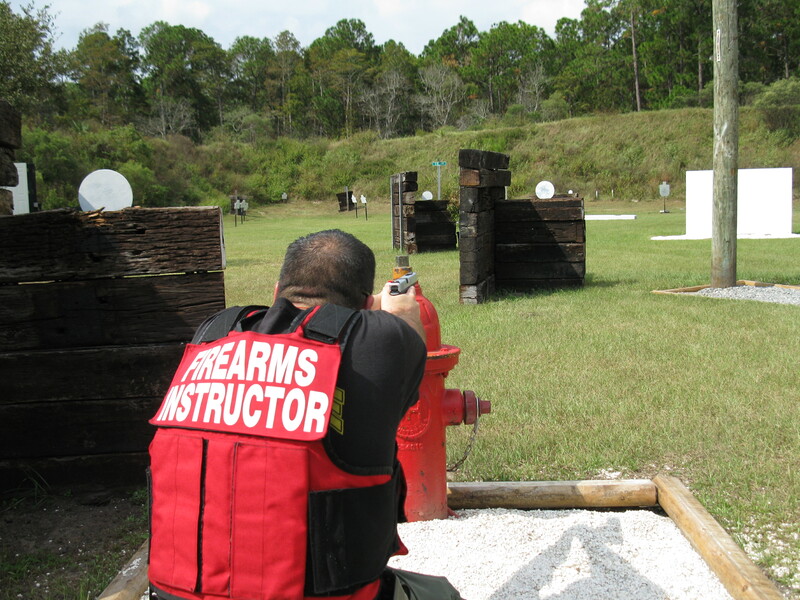 We offer Range Master and Range Safety Officer courses to help organize a safe shooting experience at your range. Fill out your information below to download a PDF of all of the information you have just put together. One of our experienced sales reps will review your project and get in touch with a quote.